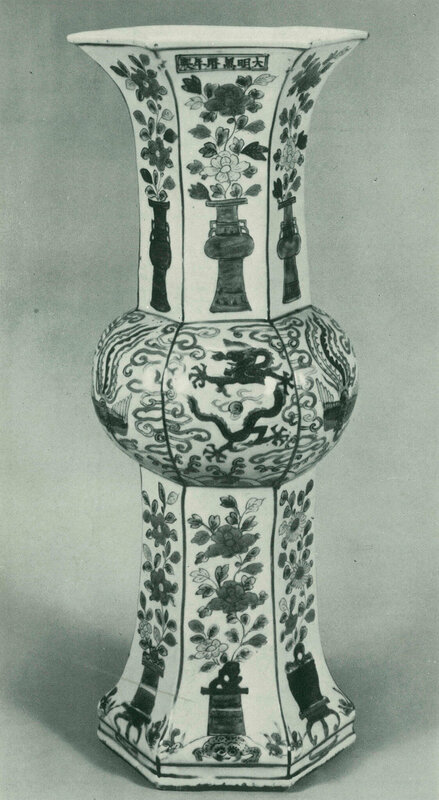 A wucai 'Dragon and Phoenix' hexagonal vase, Wanli mark in a double rectangle and of the period (1573-1619); 47 cm. high, illustrated in Mayuyama Seventy Years, vol. 1, Tokyo, 1976, no. 913.